Editor’s note: This story has been updated to reflect new information about the availability of the generic product and removes incorrect information from an FDA official about when this generic drug would be made available in the U.S. The blockbuster announcement — long thought to be expected sometime in 2021 — took advocates for the HIV community by surprise: the Food and Drug Administration on Friday approved a generic version of Gilead Science’s antiretroviral tenofovir disoproxil fumarate/emtricitabine — commonly known as Truvada. However, Gilead issued a statement late Friday that cast doubt on just how soon this generic combination treatment may be available to consumers, as Poz reported. The bottom line: don’t hold your breath. As Poz reported, Gilead’s patent for the tenofovir disoproxil fumarate component of Truvada expires next month. But exclusive rights for development and sale of the drug for pediatric use stays with the California-based company until next January. In most cases, according to the report, manufacturers of generic products often hold onto exclusive rights for a determined period before competitors are permitted to produce their own versions, which in turn drive down prices. And according to Gilead, its patent for the other medication in Truvada, emtricitabine, does not expire until 2021. Poz reported the company chosen by the FDA the right to produce generic Truvada is Teva Pharmaceuticals. A spokesperson for Teva confirmed the company received approval, but had nothing to add. That certification for Truvada indicates that Teva applied for an abbreviated new drug application, otherwise known as ANDA, according to Martin Shimer, RPh, deputy director of the Office of Generic Drug Policy at the FDA. What that means is that Teva is challenging Gilead’s patent on the combination tablet and seeking the rights to produce a generic equivalent. This certification doesn’t necessarily mean Truvada’s patent has been invalidated by the FDA. But as Poz reported, that could happen. Still, the timing of the generic’s availability remains the big question. One possible scenario, he told Poz, would be for Teva and Gilead to reach a legal compromise that details the near-term availability of generic Truvada. That is not something the FDA is typically made aware of, according to Shimer. The fixed-dose combination tablet, like its brand-name version, is to be used as a component of an HIV treatment regimen and as pre-exposure prophylaxis or PrEP. 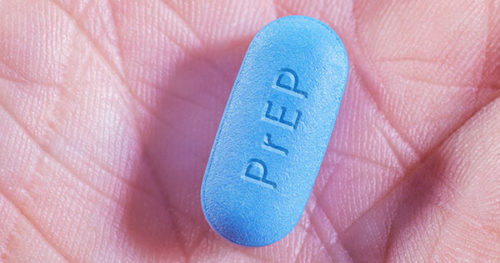 The only difference between the generic and Truvada will be the cost and reportedly a variation on its famous powder-blue color.